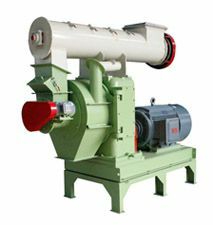 Anyang GEMCO Energy Machinery Co., Ltd, the leader of biomass pellet mill / briquette machine manufacturer in China, is one of the members of the first batch of suppliers in wood pelletizer and related biomass processing equipment since 2004. 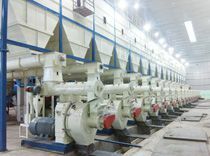 In 2014, GEMCO (Anyang GMECO Energy Machinery Co., Ltd) and KMEC (Henan Kingman ME Complete Plant Co., Ltd) were joint-ventured as ABC Machinery (Anyang Best Complete Machinery Engineering Co., Ltd), GEMCO is the biomass densification division of ABC Machinery. We are constantly dedicated to the improvement and upgrading of biomass technologies in China. Over the past ten years, we have been achieving progress with the world-class advanced technologies developed in the biomass sector and striving to lead China’s biomass industry. 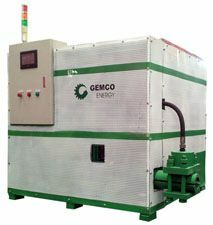 As shown in the name of GEMCO (GREEN ENERGY MACHINERY CO), we fully devote ourselves to developing green energy equipment and consistently integrating superior resources both at home and abroad while serving our clients with the best customized biomass projects and plans. We professionally deal with biomass pelletizers (pellet mill), biomass briquetters, biomass pellet plant, and there are also other relevant biomass equipments for sale. Some of the products have obtained the relevant CE certificates. GEMCO is growing as a well-renowned biomass equipment supplier worldwide and the market expansion of our products to many regions and countries such as Europe, North America, South America and Southeast Asia and from other regions and countries. 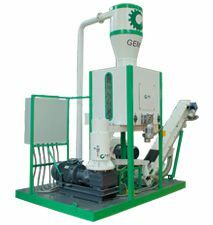 GEMCO has a complete professional technical R&D center, which includes Project Departments of pellet mill, biomass briquette machine and complete pellet plant. There is 25 R&D staff in the center, a half of which has won doctor or bachelor degrees in their relevant researching fields. Improvement of ring dies for large pellet machine. Over years of practicing and researching, our company has upgraded the heat treatment and processing of ring die by adjusting technical parameters of ring die. Now the newest model ring die is patented. It is guarantee not cracking in using, and one ring die can be used to produce 800-1000 tons of pellets. 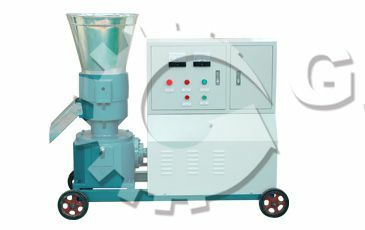 The BPM420 model biomass pellet machine can produce at least 1 ton per hour wood pellets, while the BPM508 model can produce more than 1.5 tons per hour. Improvement in ring die pellet machine cooling system. According to the actual situation and the years of trial and error, we developed a patented "granulation room air circulation cooling device": apply air circulation holes in the granulation chamber, and suction opening outside the granulation chamber to use air cooling to low the room temperature down to granulation state, and also exclude the excess water vapor to prevent the high penetration of material moisture from causing deforming. Since 2008 this technology was put into mass production, there has been no cracking ring dies among those pellet mills or pellet mill plants we have sold. The life of a single ring die is improved from the original 250-300 tons to 800-1000 tons, while the highest even reached 1,500 tons. Improvement in flat die pellet mill. Reduction gear box is adopted to lower noise and prolong gear service life. Main parts are made by 40Cr instead of 45# steel to be more wear-resisting. Roller, flat die, main shaft and roller shaft are processed by heat treatment (vacuum treatment) to have high hardness, wear-resistance and long service life. 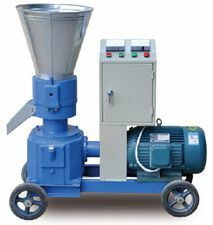 The pellet machines made by GEMCO are superior in all details. Improvement in biomass briquette machine. All parts are made from high quality raw materials and processed by advanced processing equipments to have longer service life compared to those made by other factories. 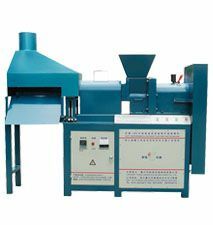 Also, the newest model hydraulic briquette machine is applied with automatic alarming system and visual PLC system to be easier to control and operate. 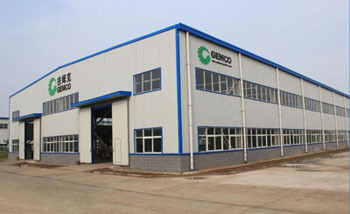 Years of experience has made GEMCO a professional equipment manufacturer and plant supplier to customers from almost every corner of the world. Those who have used our equipments speak highly of us and become our regular customers. At the same time, we also treat our new customers as our friends and serve them wholeheartedly. Whenever you have a question regarding the bioenergy field, you can consult us for details. 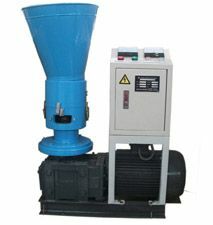 Feel free to contact us if you are interested in our pellet mill, pellet plant or biomass briquette machine!